4 Granite Inc. specializes in general construction, TI, Haz Mat, We have A, B with HAZ licenses. A&L Satellite Systems Inc. DBA Beck Engineering specializes in Construction Management, Project Management & Design. Sell and purchase of real estate, new build construction, HUD-FHA-VA approved. AIC Veterans Group LLC. General construction, Construction manager, Design Build. Aquatech Solutions America Inc. is a Waterpark, Waterslide & Playground Installation Contractor. 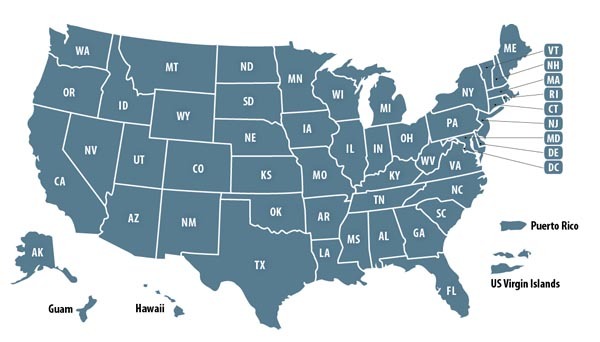 We operate all over North America. ARCOM Construction Inc. is a Veteran Owned Construction company. Construction projects within a 500 mile radius. Aviation Striping provides Highway, Street, and Bridge Construction. Backwoods Bridges LLC specializes in Custom Timber Construction. Braswell Construction Inc specializes in construction services. Bruce Brummel provides construction quality consulting and expert witness services. C.A. Brown Construction Co., Inc. is a Commercial General Contractor, serving the State of Georgia. CJ Construction specializes in home maintenance and repair. Clear It Out Contracting, LLC is a General Contractor/Mechanical Contractor Plumbing/HVAC. CMEC, INC is a General Contractor focused on Federal Government Construction & Services Contracting. Construction Engineering Solutions is a full service construction management, civil engineering and airport construction services company. Cougar Builders Inc. provides commercial and residential Structural Engineering and Structural Remediation. DMC Management is a Veteran owned business providing professional Construction Management and Legal Services. Emerald Coast Striping provides Site Construction, Pavement Markings. EnGEN Corporation provides Geotechnical and GeoEnvironmental Consulting and Testing Services. Force Construction & Contracting Services, llc is a General Contractor serving Kitsap County, Residential, light commercial. Fuller Associates specializes in Strategic Business Development: Prospecting, Positioning, Proposal Development, Presentation Preparation. Commercial General Contractor specializing in all phases of construction work. Materials Supplier. Project Management of all phases. Glen/Mar Construction Inc. All types building construction,site development, mechanical. Heckel Construction Inc specializes in residential home building and remodeling. Hoenig Consulting LLC provides: Construction management services, DIY consulting, handyman services and residential remodeling. J Rams Inc. is a Service Disabled Veteran Owned Small Business (SDVOSB) providing General Contracting Construction. JAF Supply, Inc. is a Distributor of Janitorial, Medical, and Engineering supply to government agencies such as Veteran Medical Centers. JRS Construction Services provides full service new residential construction and remodeling. Custom prints using latest CAD software. LAW Construction & Consulting is a full service commercial general contractor. Montage Inc. specializes in Industrial Building Construction, Commercial and Institutional Building Construction. No Sweat Contracting is a Contracting Specialist. Patriot Construction Team provides construction services. Complete project and construction management services, including estimating, permitting, OPM, ADA compliance, clerking, and CPTED design. Richmond Group specializes in Construction Management, Commercial and Residential Construction, Government Contracting. Rickman Enterprise Group, LLC is an Industrial and Environmental Cleaning Company. Strategic Services, Inc. specializes in Quality Assurance, Construction, Management, Strategic Planning, Emergency Recovery Services. Thomas Banks & Mitchell, LLC is a Consulting & Construction Management company. Up-Side Management Company (USMC) specializes in Construction Design-Build, remodel, roofing and HVAC services. VADCOR LLC provides construction services. We are a business that can knock out any of your Residential or Commercial Renovation or Restoration Needs. Vision Building Group provides Construction Management and Design-Build services to the Federal Government. Vision Construction International, LLC provides construction services for government and commercial clients around the globe. Construction Management Service Companies owned by past military and present military members. 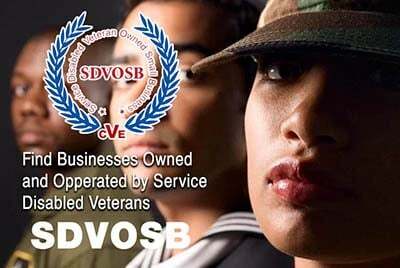 Veteran Owned Businesses (VOB), Active Duty Military, Reservists and Service Disabled Veteran Owned Small Companies (SDVOSB) of the United States Army (USARMY), Air Force (USAF), Marines (USM), Navy (USN), Coast Guard (USCG) and National Guard specializing in offering construction management services.